There are only two occasions in a year when it’s socially acceptable to don glitter; when you’re five days into a festival and all normal life rules have gone out of the window, and Christmas time. Although my festival days are long gone due to my OAP tendencies, ’tis the season to be sparkly and I love a hint of glitter incorporated into my beauty bits. 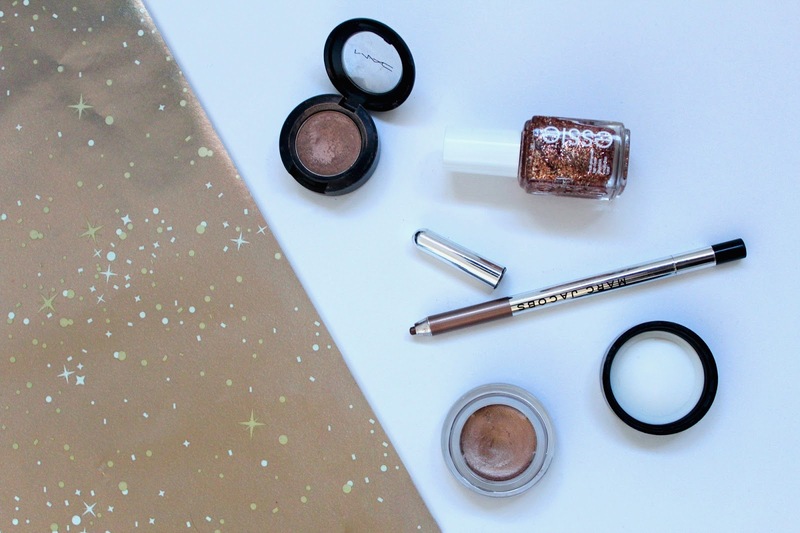 I’ve picked out four of my favourite twinkly products to help you achieve that ‘is that a piece of tinsel?’ look. Head up north (to your face) and I’m still embracing those disco ball vibes. The Marc Jacobs gel eyeliner in the shade Ro(cocoa) is my back up eyeliner all year round for when I can’t be doing with the ole brush and gel liner jobby. Bronze in tone with just a hint of glitter, this looks especially pretty on the upper lash line of green and brown eyes (if I say so myself, ya know). Lids, we ain’t forgetting about you either. Mac’s All That Glitters eyeshadow is an absolute classic blogger favourite that I always keep in my makeup bag (and I have to say, you can really bloody tell from these photos, grim.) Gold and buildable in formula, I like this for a subtle sparkle day to day or layered up with the help of a primer – I love Urban Decay’s Primer Potion. 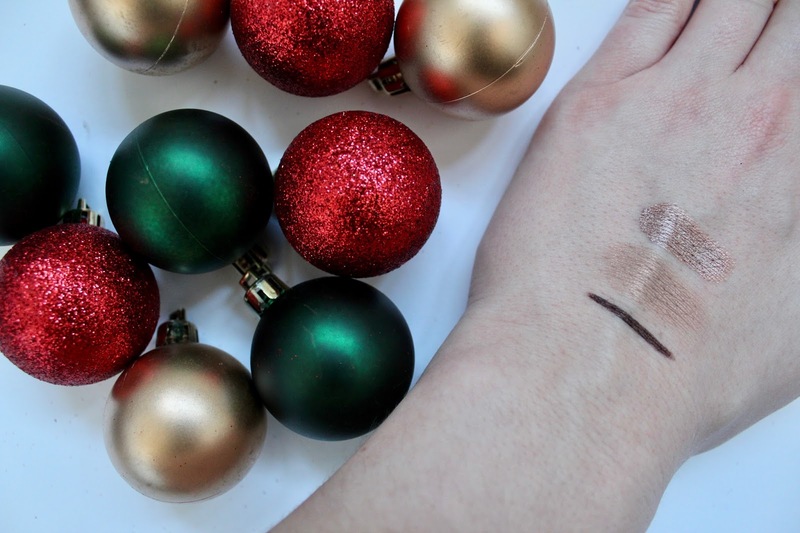 How long has it been since I raved about Maybelline’s Color Tattoo eye cream in the shade On and On Bronze? This paired with winged liner and loads of mascara is the ultimate New Year’s Eve look and one I’ve donned the past few years. If it ain’t broken, don’t fix it galz! What is your go-to makeup product for festive feels?